7017 & D7076 approach Watchet with the 15:40 Bishops Lydeard to Minehead service on 18 May 1997, during the West Somerset Railway's Diesel Hydraulic Gala. 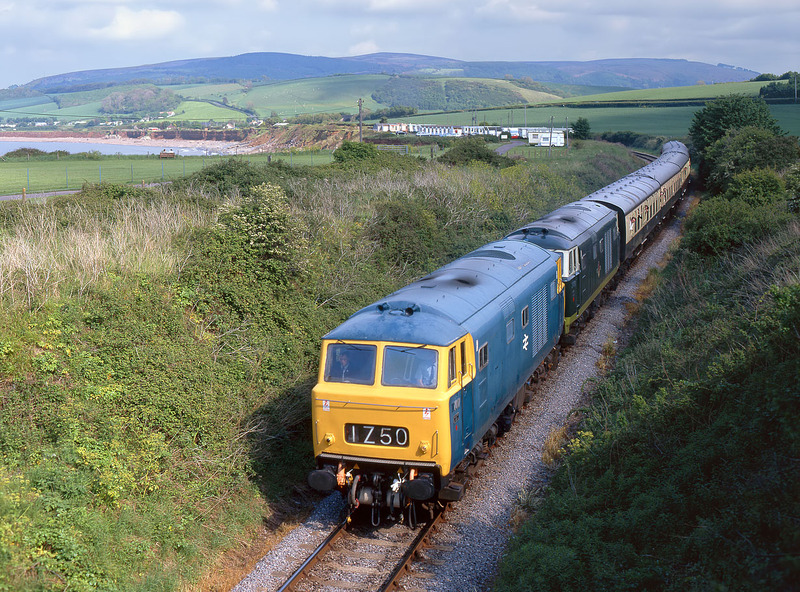 Note that the lead blue liveried loco has correctly had the 'D' prefix of it number painted out. The cast numbers would have certainly been a challenge if the class were ever to actually carry their Class 35 designation.